The Danish National Association for LGBT people is accusing a central internet organisation of discrimination. Currently hosting its 58th annual meeting in Copenhagen, the Internet Corporation for Assigned Names and Numbers (ICANN) blocked the creation of top-level domain (TLD) ‘.gay’ because it failed to meet community criteria. “As part of the global non-cishetero and allied community, LGBT Denmark cannot but see the rejection by ICANN of the community application of dotgay LLC as a discriminatory action,” said Laursen in a letter to the board. Chairman of the ICANN Board Governance Committee Chris Disspain says the board understands that the outcome is disappointing for supporters. 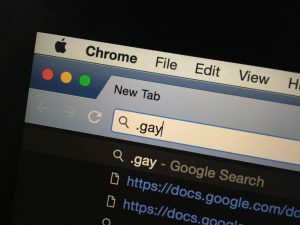 “I want to make clear that the denial of the Request for Reconsideration is not a statement about the validity of dotgay LLC’s application or dotgay LLC’s supporters,” said Disspain.